Kimchee! For Good Health, Good Fun, and Good Eating! Fermentation has gained a lot of attention among those interested in good-tasting food that is also good for you. Kimchee fits the bill on both counts. Its ingredients and the development of lactic acid bacteria in the fermentation process make kimchee into somewhat of a superfood that promotes digestive health and helps the body ward off problems such as constipation, obesity, and even cancer, while also promoting brain and skin health, and the immune system. The benefits of kimchee, however, also include its making. Nothing better for the soul than working with others to create a food that, in a sense, is alive and will boost life, but best of all tastes great! Come out and make some kimchee with us, and enjoy a light meal that Chef Tateno will prepare with kimchee as an ingredient. This class will be taught by Chef Machiko Tateno. Chef Machiko Tateno is an expert in cooking with fermented foods, a menu consultant, and Registered Dietician. After spending seven years as a supervising dietician at a hospital, Chef Tateno attended cooking schools in Japan and Ireland -the latter, the world-renowned Ballymaloe Cookery School– to learn cooking approaches that emphasize the qualities and characteristics of ingredients. Later serving as the Executive Chef of Roppongi Nouen, Chef Tateno now focuses on home-style Japanese cooking with particular attention paid to the use of fermented foods. She develops recipes that are both delicious and easy to prepare, and has written or co-written several books on Japanese cooking. Chef Tateno has just published a book of 129 recipes detailed in both text and photos. 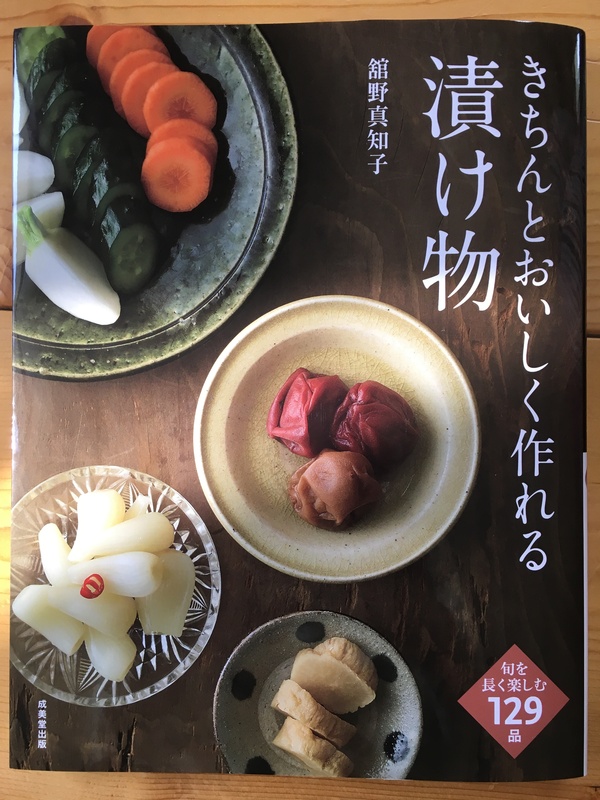 Ranging from the simple and quick, to others that would have you wait a whole year to partake of their goodness, these recipes will make it easy for readers to make tsukemono a part of their daily diet.